BRASELTON, Ga. - Aug. 30, 2016 - PRLog -- O'Dwyer Homes is excited to announce MOVE-IN ready homes at Chateau Elan Estates in the sought after Mill Creek High School District of Braselton in Gwinnett County. O'Dwyer Homes is one of the premier builders in Creekside at Château Élan Estates. O'Dwyer Homes offers an unique opportunity to enjoy a Resort Lifestyle every day. Priced from the $400's, their craftsman style homes feature courtyard entries, open floor plans, gorgeous spa baths, large entertaining kitchens with granite counter tops and stainless steel appliances, 3 car garages, extensive trim packages, and so much more. Homeowners will also enjoy relaxing at the winery, working out at the sports & fitness club, fun times at the swim & tennis facilities, spa discounts as well as golf discounts. 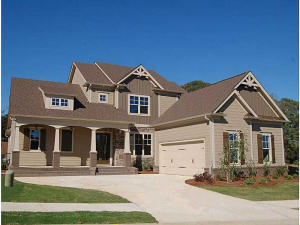 Creekside at Chateau Elan Estates is a prestigious gated golf and country club community offering new construction homes and pre-sale opportunities. These homes are offered from the $400's. When you choose an O'Dwyer Home, you will find quality, great designs and exquisite details. O'Dwyer Homes is 100% Energy Star Certified. 100% Energy Star Certified new homes are designed and built to standards well above most other homes on the market today, delivering energy efficient savings of 20-30 percent when compared to typical new homes. These new homes deliver better comfort, quality, and durability giving you a healthier home. Community Hours are Monday-Saturday 10am-5pm and Sunday 12-5pm.